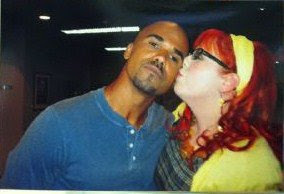 SHEMAR and his original "baby girl,"
CRIMINAL MINDS has a very "affectionate" cast. No CM episode on Wednesday. in it's place at 9:00 p.m. ET on CBS. our favorite TV crime fighters.